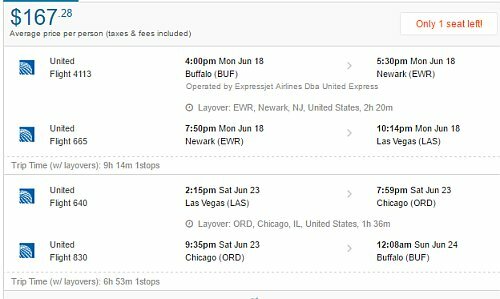 United Airlines is showing flights from Buffalo to Las Vegas for $166 CAD roundtrip including taxes. I wouldn't say this is amazing deal for Toronto, especially considering they are not non-stop flights from Buffalo (they have 1 stop in Chicago or Newark). After you factor in your time, it's not really worth it over flying to Vegas from YYZ. But it is a very unusual price, over 60% cheaper than they usually ever get from Buffalo. It also appears that only single seats (1 ticket) are available on each date. - Look for the dates that are $168 roundtrip. - If you click through to the United Airlines website from Google Flights, these flights are showing up for $129 USD roundtrip. 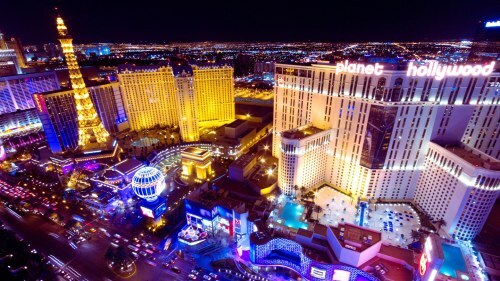 flight deals, united states, las vegas, nevada, las, buffalo, buf, united airlines and north america.